"Dieselgate is bad for business"
A lot has happened in the two years since the US Environmental Protection Agency notified the world’s biggest car manufacturer that they were in violation of the Clean Air Act. Where once the car industry spoke of electric cars as some distant dream, the chief executive of a leading firm now says that producing petrol and diesel cars would make him anxious. There are good reasons why. US legislators prosecuted Volkswagen. Investigations into Renault, Peugeot-Citroen and Fiat Chrysler were launched. Air pollution became a front page story. Europe introduced a new testing regime. And China has set tight targets to force manufacturers into electrifying their cars. Then this summer, as elections approached in Germany, came the industry announcements. 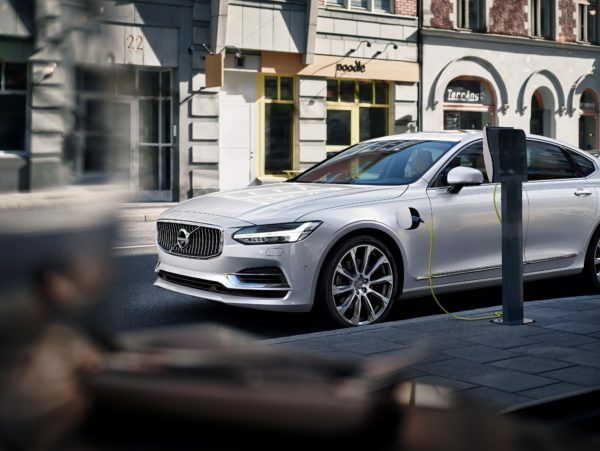 Volvo Cars (not to be confused with truck maker Volvo AB) were first out of the starting blocks, announcing that they would ditch diesel and make all new models hybrid or electric in just two years. 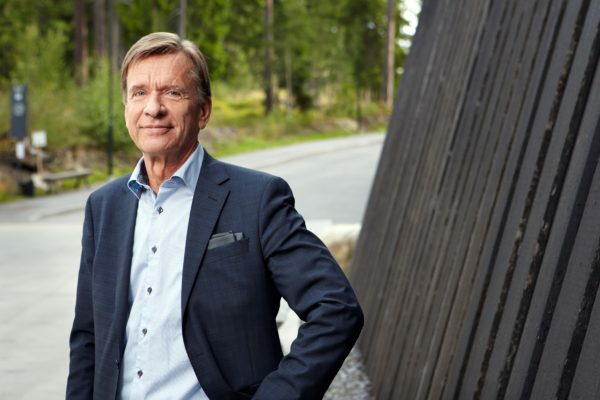 Speaking to Unearthed, from Volvo’s headquarters in Gothenburg, president Håkan Samuelsson reflects on an intense time for the industry. But Samuelsson is not prepared to point the finger at other car manufacturers. Instead he blames governments for lax standards and tax incentives. Samuelsson says the announcement heralds “the end of an era for the pure internal combustion engine” and represents the company’s response to the air pollution and climate change crises. Why then was Volvo party to successful lobby efforts that demanded Donald Trump reopen a review of emissions standards in the US? Samuelsson hesitates. His press representative jumps in. “Of course I agree [with his press representative]. Yes we were part of that [letter] obviously,” says Samuelsson. He says he cannot comment further and returns to their announcement. It commits them to launching five pure electric models by 2021 and selling one million electrified cars by 2025. But can Volvo’s commitment be taken at face value? How ambitious is it really? They may have committed to making all new models electrified, but this does not mean they will all be fully electric; far from it. Many will be plug-in hybrids and many more will be “mild hybrids”, which do not connect to the grid at all but supplement internal combustion with an electric motor. The amount of electricity used in these cars can be very limited. Samuelsson will not put a figure on the proportion of hybrids in the mix but says that the one million commitment does not include any mild hybrids. So how many of the less effective non-plug ins will they create over the same period? “Difficult to say. Maybe 50/50. I don’t have a number,” he says. One of the models in Volvo's range of hybrids. The firm has committed to selling one million all-electric or plug-in hybrids by 2025. In many respects, the announcement is a big challenge. Volvo is yet to make a single pure electric car. Infrastructure is a trillion dollar challenge. And while battery prices have plummeted in recent years, they remain expensive and take up a large proportion of the vehicle’s costs. How, then, can Samuelsson be sure he has not made a bad business decision? “You can never be sure about that. But I would be much more nervous to just continue building diesel cars or gasoline powered cars. That would be a much bigger risk. But will people buy their electric cars? Volvo’s outlook may reflect its ownership by the Chinese multinational Geely, which also owns the London taxi company. Volvo now both makes cars in China for export to the US, and cars in the US for export to China. Meanwhile, the Chinese government has set tight targets requiring companies to make 10% of their fleet electric and announced it is working on a plan to ban pure petrol and diesel cars altogether. So will other companies go the same way as Volvo? Jaguar Land Rover have made a similar commitment for 2020. General Motors announced it is working towards an “all-electric future”. Even James Dyson is getting involved, promising to build a “radically different” electric car by 2020. Governments claim they plan to ensure they do, with the British government announcing a ban on new petrol and diesel cars from 2040, and others being more ambitious. Can the industry get there first? Most cars sold in 2040 will be electric and autonomous, he says.